Amy loves rock 'n' roll. Loves it. So when she saw that both her beloved Squeeze and her beloved English Beat were coming to Baltimore's Ram's Head Live this past Friday, it was a no-brainer that we would attend. Not only was it a great double bill, it was a Baby Boomer-friendly concert - one that actually started before midnight (8 p.m. on the dot, actually!) for the benefit of we middle-aged working stiffs who either have to get up early the next day to toil for The Man (yes, we are mere replaceable Cogs in the Municipality Machine!) or rake leaves in our Suburban Shangri-La's. Bonus! Others of our ilk were spotted throughout the night, including our friends MaryAnn Tom, Greg Brazeal and the Koven of Karens (though "Karen Karen" Wall was noticeably absent); rumor had it Adolf Kowalski was in the house as well, but we were up front and couldn't risk losing our primo spots to go looking for him (in all probability, he was glued to some barstool running up a tab). Besides founders Chris Difford and Glenn Tilbrook, this new touring Squeeze line-up included former Squeeze Mk 2.0 bassist John Bentley (1980-1982), who played on the band's third (Argybargy, 1980), fourth (East Side Story, 1981), and fifth (Sweets From a Stranger, 1982) albums. 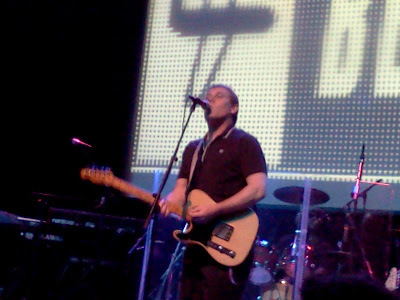 Bentley rejoined Squeeze for their "Quintessential Tour 2007" through the US and UK and has remained in the present Squeeze line-up. 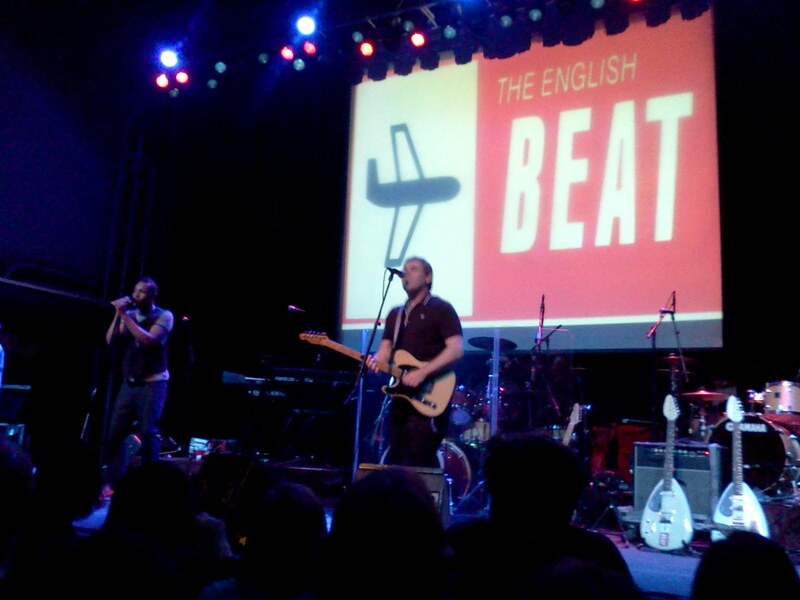 The English Beat only had 56-year-old singer-guitarist-songwriter Dave Wakeling from the original lineup - he and Ranking Roger have an amicable agreement under which two versions of the Beat play the concert circuit. Wakeling has his English Beat, while Ranking Roger, his son Ranking Jr., and original beat drummer Everett Morton head up a UK touring version of the band called simply The Beat. The English Beat opened promptly at 8 p.m. and played a brisk, hit-filled 60-minute set that included covers of the Staple Singers ("I'll Take You There") and Smokey Robinson & The Miracles ("Tears of a Clown"), as well as General Public's "Tenderness" (General Public was the post-English Beat band that Wakeling and Ranking Roger formed in 1984). 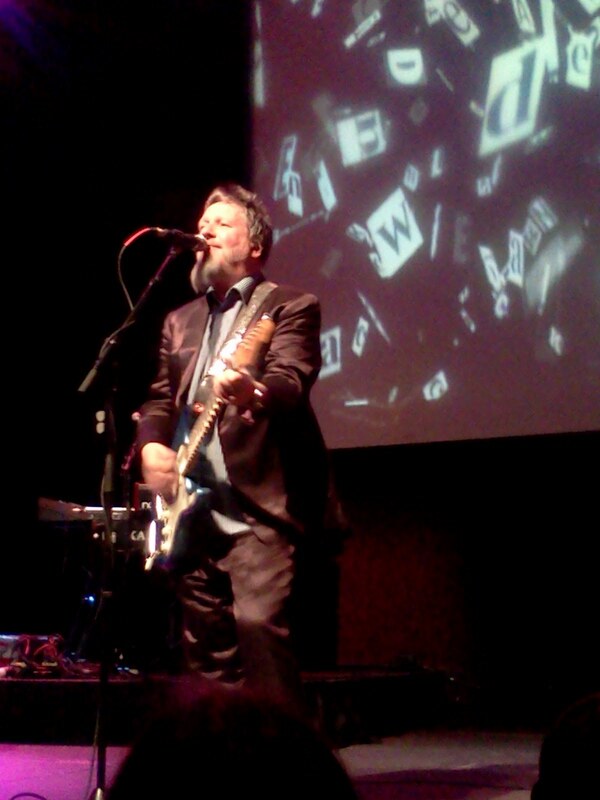 As a frontman, we were struck by how affable and charismatic Wakeling was (he reminded the Baby Boomers in the audience to be sure to hydrate - and drink plenty of other liquids as well!). And fit! The "legacy artist" Brummie had a bundle of energy, as much as his 17-year-old Asian keyboard player (who we quickly decided was not an original member! ), who actually looked like a 12-year-old. Besides his telecaster, The King of Ska played his trademark Vox teardrop guitar - probably a new one since the Rock & Roll Hall of Fame asked him to display one next to the axes of Jimi Hendrix and Kurt Cobain. 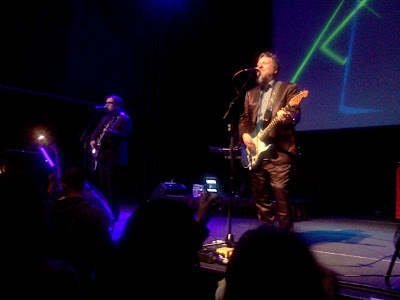 When Squeeze took the stage, we saw immediately that the Deptford lads' waistlines had relaxed more than a tad, while the black-suited Chris Difford sported black tortoise shell spectacles that made him look like the poet he is, and Glenn Tilbrook came out dressed like a rockabilly star in white alligator shoes with his wide grin underscored by a Gnome-like beard. 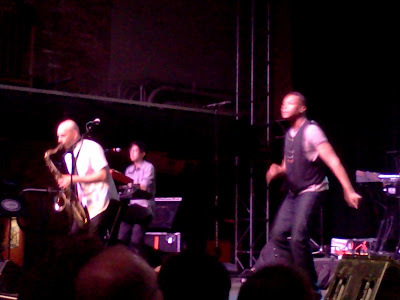 The keyboardist was a good-looking, slickly attired young lad named Stephen Large and drummer Simon Hanson was a nattily dressed badass baldie (think Jason Stratham, folks) who was a monster on the drums. Glenn Tilbrook in Jim Drury's Squeeze Song By Song (2004): "'Take Me' was far more of an expression of who were were as a band than the other songs on the album. It was perfectly innocent, simple pop music." Chris Difford said the song was inspired by staying at Miles Copeland's Middle Eastern artefacts-filled home in Maida Vale; Copeland's mother was an archeologist who brought back countless stone sculptures, pyramids and other artefacts from her work in the Middle East. 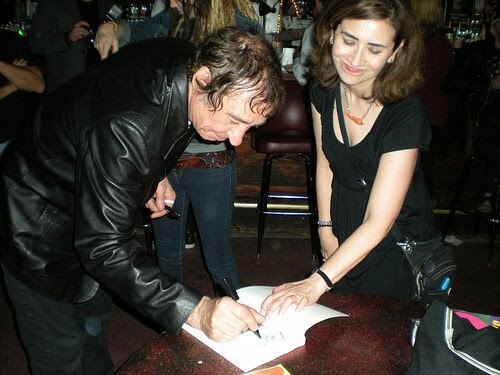 "The lyric describes a journey through mystic Middle Eastern venues, although looking at it now it's really about the journey of a rock 'n' roll musician." 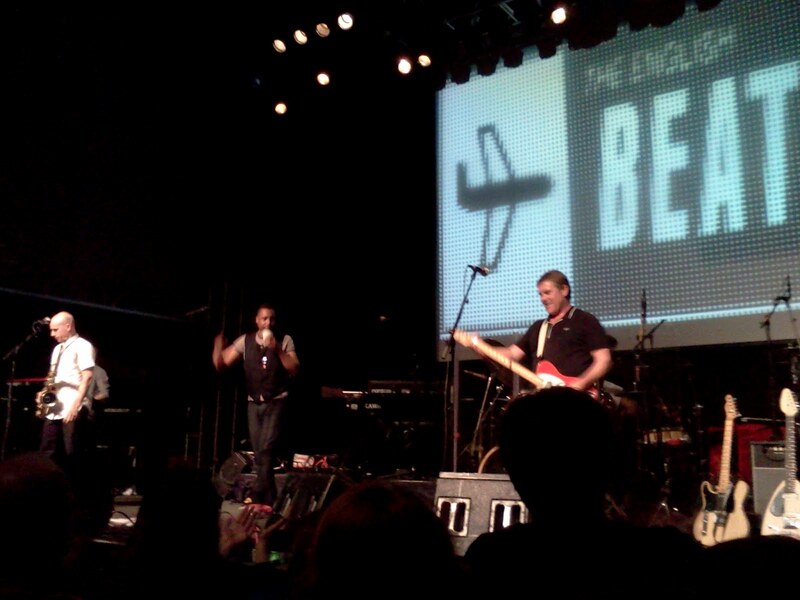 Chris Difford (2004): "I used to love playing this song live. Lyrically it has to be my proudest moment from this album [Argybargy]...It's about the early cosy part of a relationship, which I call the nesting stage. It's a lovely place to be, somewhere where I think people only go two or three times in their life...'I'm playing your stereogram/Singles remind me of kisses/Albums remind me of plans.' Those are my favorite lines on the whole album. 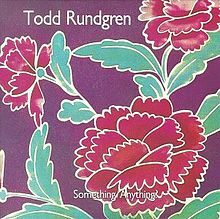 When I used to have girls back to my flat I'd go through my record collection and find the album which had the longest side, be it Todd Rundgren or the Grateful Dead. I knew that by a certain point on the record if I didn't have my hand down her pants then it wasn't going to happen bcause I'd hve to get up and change the record over. So it was all about timing. The best record for that purpose would be Something/Anything by Todd Rundgren, because it had one side that was 30 minutes long..."
Platterpuss: Will Difford get Something/Anything? Glenn Tilbrook: "The line 'The record jumps on a scratch' was such a gift that I had to use it, so we sang 'If I, If I, If I, If I, If.'" Musically influenced by Kraftwerk, lyrically inspired by Damon Runyon and an early attempt by Difford and Tilbrook to write a musical ("Trixie"). Chris Difford: "Lyrically the musical was about these characters that lived in the back of my mind like characters in a James Cagney or Humphrey Bogart film...one of the offshoots was 'The Knack,' where I was trying to tell the story about a black and white film, inventing scenario with actors. It wasn't until after this that I started to read Damon Runyon...he wrote this fantastic story called 'Little Pinks,' which I always wanted to turn into a musical or play." Bogie has "The Knack" in "The Maltese Falcon"
During Squeeze's performance of "The Knack," clips from The Maltese Falcon were back-projected on stage, a nice effect. One of the great songs about polishing the bishop ("In a corner with his book and tissue/All he can do is pretend to miss you"), Difford claimed it was based on a teacher pal who liked smoking joints and shagging birds (Difford: "But what's wrong with that? 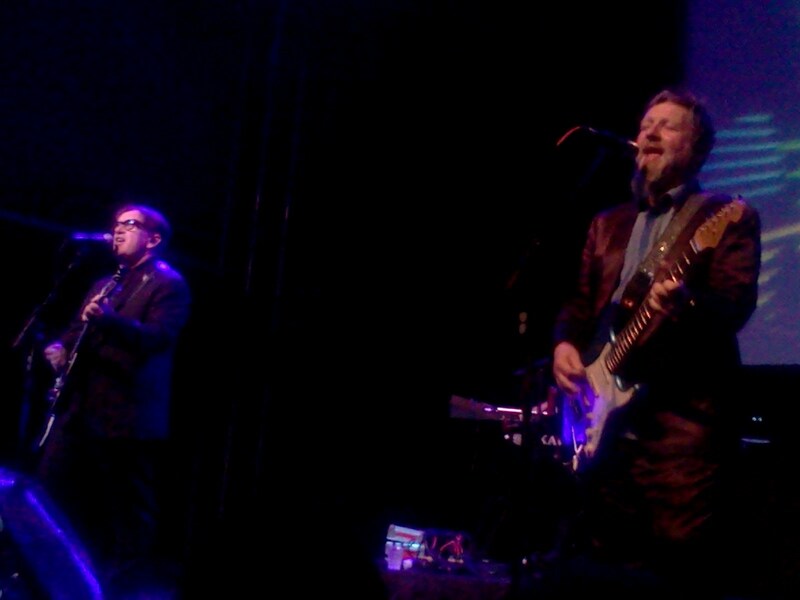 "); musically, Tilbrook claimed it was his tip of the hat to East Side Story producer Elvis Costello. 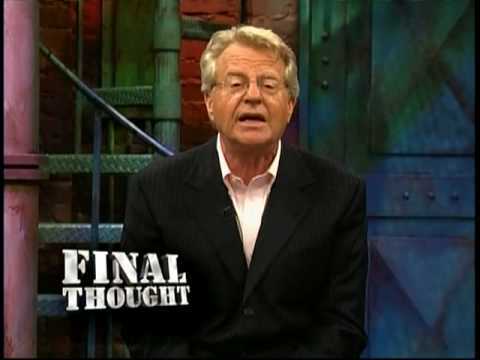 "He'd borrowed the riff from [Booker T & The MGs'] 'Time Is Tight' and used it on a song called 'Temptation.' I thought it would be funny to use that riff again for 'In Quintessence' and expand it." Chris Difford: "This was written about the time I got married. I remember being in the bathroom and seeing Cindy's wedding ring next to the soap, which inspired me to write the lyric. I don't think it was particularly about our marriage, but it started off a sequence of ideas in my head...it was a great live number and sums up being on the road and having fun. It's a comfortable pair of jeans as a song." 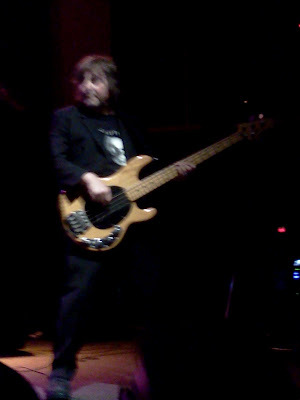 Tilbrook lifted a riff from the "1812 Overture" during the chorus. The semi-acapella ending was East Side Story producer Elvis Costello's idea and he played the piano part accompanying it. Difford sings this one while on the record Tilbrook plays a Moog and a Greek banjo that conjured up visions of hummus and olives. 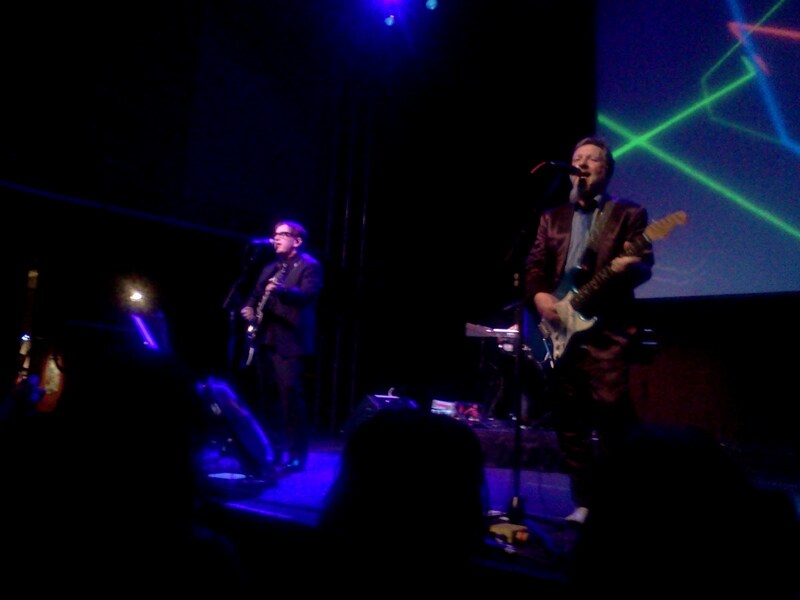 It was Difford's attempt to channel Jacques Brel, following the path previously followed by David Bowie and Scott Walker. Chris Difford in Jim Drury's Squeeze Song by Song (2004): "This was written after a heavy weekend of sulphate abuse when all I could hear was my heart going bang-bang, bang-bang. It was a strange feeling. You can hear the heart beating throughout the song." Glenn Tilbrook in 2004: "I think the song's rubbish. Like all novelty songs, it had its moment." Though it takes its name from a 1960s Canadian TV show, "Cool For Cats" was actually inspired by watching The Benny Hill Show. Chris Difford explained to Jim Drury in Squeeze Song By Song: "He always used to have a couple of songs on his show and the metre of his songs was very flat. Each verse would be about a different character, which was quite an interesting idea. I know it's bizarre, but I was inspired by listening to Benny Hill's song that night, so I turned the telly off and within a few minutes I'd written 12 verses...The lyric isn't about anything in particular, just a stream of consciousness." But the BBC censors apparently read more into the lyrics than Squeeze, forcing them to change the line "I'm invited in for a coffee/Give the dog a bone" when they appeared on Top of the Pops. "It was the BBC at its worst at that time," Difford added. The Sweeney's John Thaw & Dennis Waterson are totally Cool For Cats! 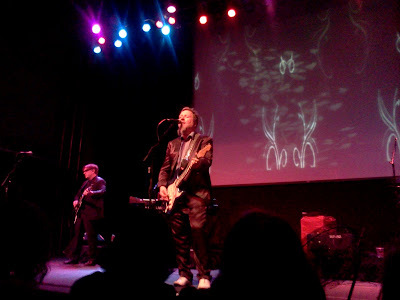 Classic Squeeze, this third single from Cool For Cats is fondly remembred as one of their all-time most popular songs. It's also one of a handful of pop tunes in which the song title isn't sung until the very last line (see also Roxy Music's "Virginia Plain," The Beatles' "Here, There and Everywhere," Dylan's "Boots of Spanish Leather," Madness' "The Prince," Pink Floyd's "Pigs On the Wing," and a few others - see Phil Brodie's "Song Title Endings" for a more complete listing). Chris Difford to Jim Drury in 2004: "I don't think the lyric is much cop, but the guitar solo after the first verse is stunning. It's really thought through and bristlingly played. 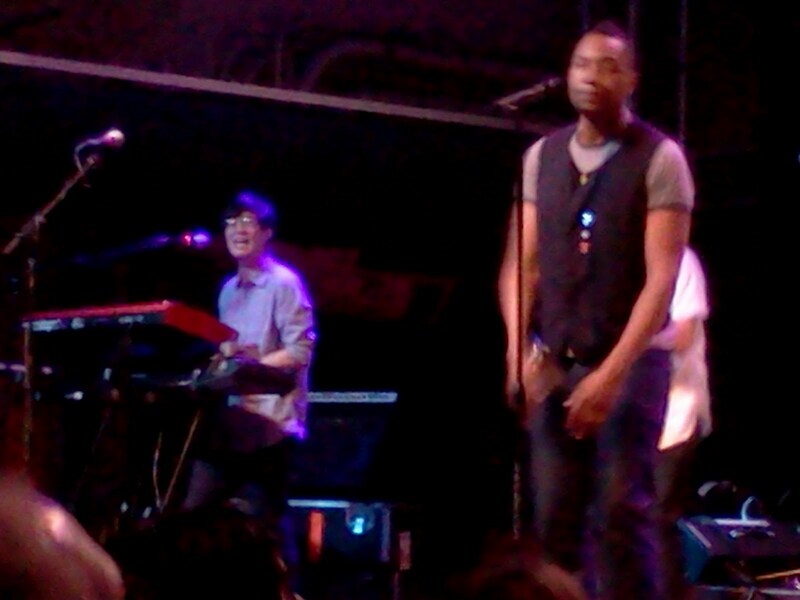 It was unheard of at that time to have a solo that early in a song." Tilbrook also played Jool Holland's Polymorphic Moog on the studio version. As the first single off Cool For Cats, "Goodbye Girl" vanished without a trace until Squeeze recorded an American version that changed the line "My wife has moved to Guernsey" to "My wife has moved to Boston." The song subsequently got increased airplay all up and down the East Coast here. That's all fine and dandy, but I still don't understand the line "Sunlight on the lino." 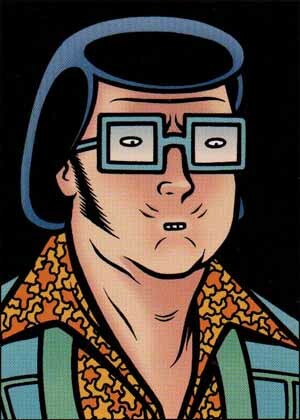 (Linoleum?) 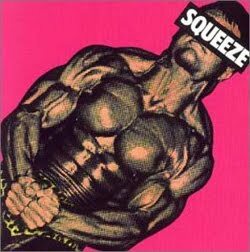 In addition to original Squeeze drummer Gilson Lavis' inventive bottles-and-cans percussion arrangement, Squeeze also cut a rock 'n' roll version that was easier to play live. 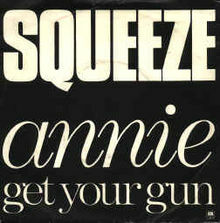 The last single released by Squeeze before they broke up (though they reunited in 1985) was this non-LP track that followed the Sweets From a Stranger sessions; though it stiffed on the charts (#43), it has long been a staple of Squeeze's live set and appears on various compilations, including Singles - 45's and Under and the live album A Round and a Bout. "Hourglass" was the first song Difford and Tilbrook wrote together in the same room (Chris: "I'd always thought of writing as a bit like masturbation: something you do on your own, not in the same room with another bloke"), with Tilbrook coming up with the rapid-delivery chorus of nonsense words. The Ade Edmondson-directed video got a lot of airplay on MTV. In fact, Difford recalled "The reason this song exists in my mind is pureley for the video, which won an MTV award. 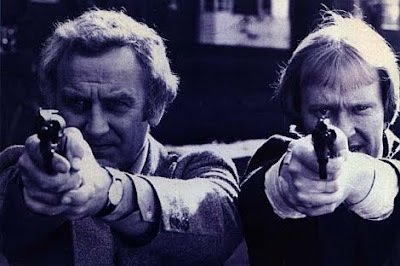 Jools co-directed it, without a credit, and it was a feast of clever photography and great costumes. It's like surreal art." Chris Difford's musical picture-postcard of a working class English holiday was based on his trip to Margate as a 12-year-old and was written specifically with Steve Marriott and The Small Faces in mind. For his part, Glenn Tilbrook cited the musical influence of The Tubes, with whom Squeeze toured the year before, especially on the section of the song near the end of the chorus. "I thought they had a wonderfully theatrical element to them and a grandiosity to their songs." 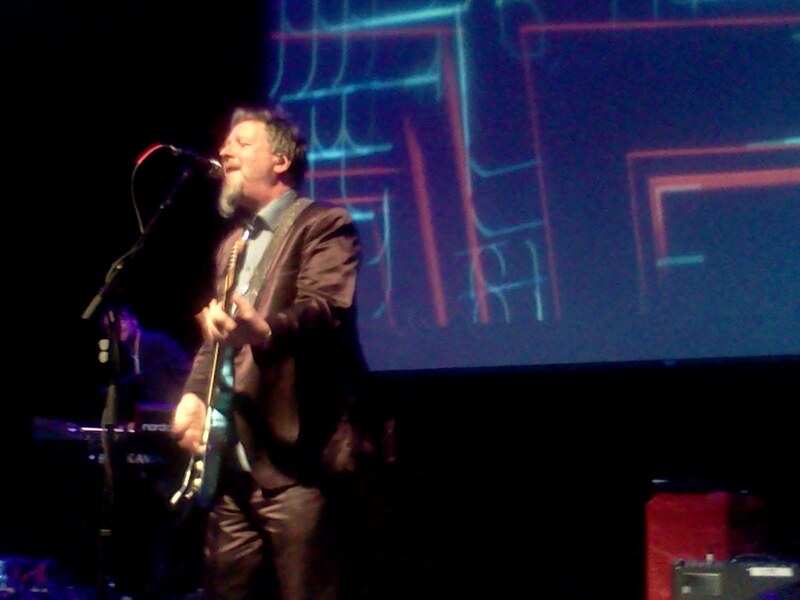 Glenn trotted out with his Mini-Moog for this opening encore number that was originally inspired by Tilbrook listening to a lot of Kraftwerk and Georgio Moroder. Lyrically, Difford was inspired by the late '70s Pub Rock Scene and listening to Ian Dury, Brinsley SChwartz, and Elvis Costello. 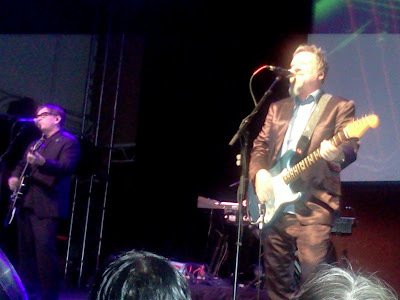 "The metre of some of their lyrics inspired me to write in that rap fashion," Difford recounted in Squeeze Song By Song. "I remember playing 'Slap and Tickle' in a club in New York and realising that no one knew what was going on." 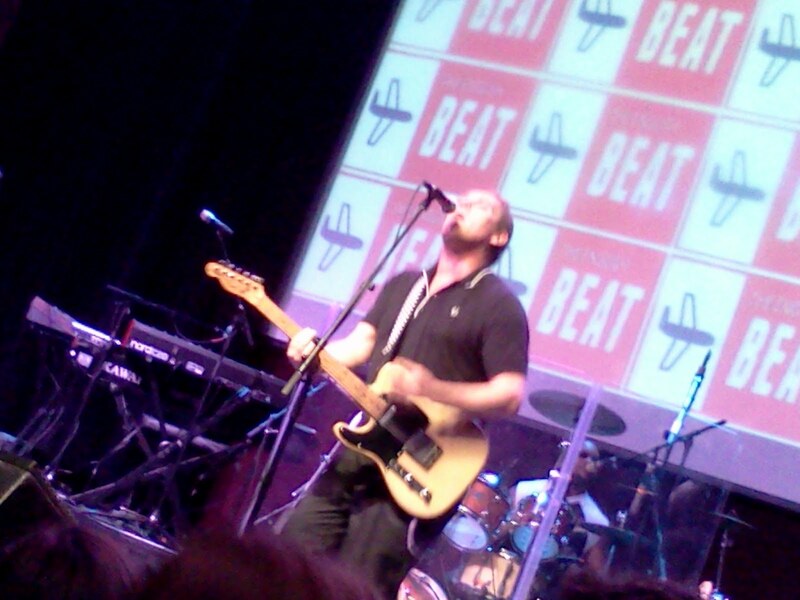 This is the number where Difford breaks out his Cabassa and everyone dances around like they're in a ska band (like, say, The English Beat!). A great audience singalong, especially the checklist in the first verse ("I packed a toothbrush, some toothpaste, a flannel for my face/Pajamas, a hairbrush, new shoes and a case"), and tonight was no exception. 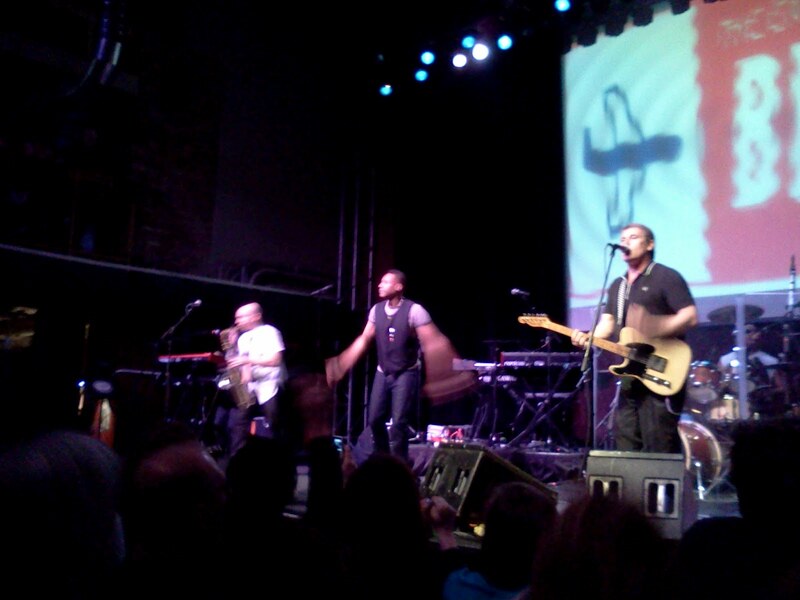 In fact, when Squeeze toured the States back in the day, audiences would hurl said packing items onstage during the song! Originally written on the back on a pack of cigarettes on the way to the airport, Difford's words were originally sung by erstwhile Squeeze keyboardist Paul Carrack at Elvis Costello's urging, as he felt Carrack brought a more soulful sound to the table. Everyone but Difford sang on the record's Temptations-like arrangement (EC himself handled the lower ranges that were usually Difford's domain), but Tilbrook has long since adapted it as his own. Difford: "This lyric was inspired by my picking up my notebook one day and seeing a coffee stain on it, which inspired the first line. It was a very vivid image for me and inspired this song of loss and regret." It also inspired a very kitschy MTV video that reflected the then-popular "storytellings-style" in music videos. Tilbrook: "We recorded a video featuring a story that made no sense, featuring us looking moody and as artful as possible." Or as Difford lamented, "We might as wellhave got ourselves perms, worn green and red leather jackets, and learnt to dance." Watch the "Black Coffee In Bed" music video. Difford & Tilbrook: a match made in "Heaven"
Glenn's so happy, he's got a glow on! 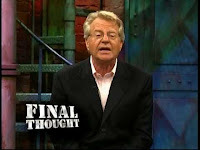 Apologies in advance for the crappy audio (recorded on my crappy cellphone); my advice: turn the volume down real low! 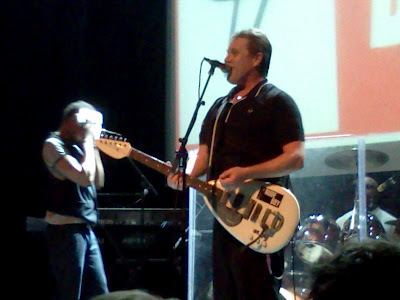 Watch "Another Nail In My Heart"
Watch Chris Difford sing "Heaven"
Me: Wow, that was fun! Amy: "I LOVE rock 'n' roll!" A very pleasurable and informative review!